This week has felt like a long one, and I'm glad the weekend is right around the corner. There's something about being in the dead of winter and feeling more low key on the weekends, which I'm totally down with lately. I'm enjoying not having much on the agenda and taking it easy, because I know it won't be like that for long! Here's a few happenings from my week. 1. I succeeded with my mission from last Friday's post and I 100% spent all of Sunday in my pj's indulging in way too much tv and several naps. 2. Speaking of way too much tv, Martin and I have been binge watching all the seasons of How I Met Your Mother on Netflix over the last few months and we finally finished it up on Monday night, I have to say I don't know how I feel about the ending. 3. I discovered recently that the hook I place my bathrobe on when I'm showering is right above a heating vent, so now everyday before I hop in the shower I crank up the heat a few degrees and my robe is nice and toasty when I get out. It's perfect, especially for me, because I am always cold. 4. I get so excited when I get one of these in the mail, it might be kinda sad, I know. But seriously 20% off nearly everything in the store, even the brands that are usually excluded. I always have to think about all the great things I want to try when one of these pops up, they don't come all that often! 5. 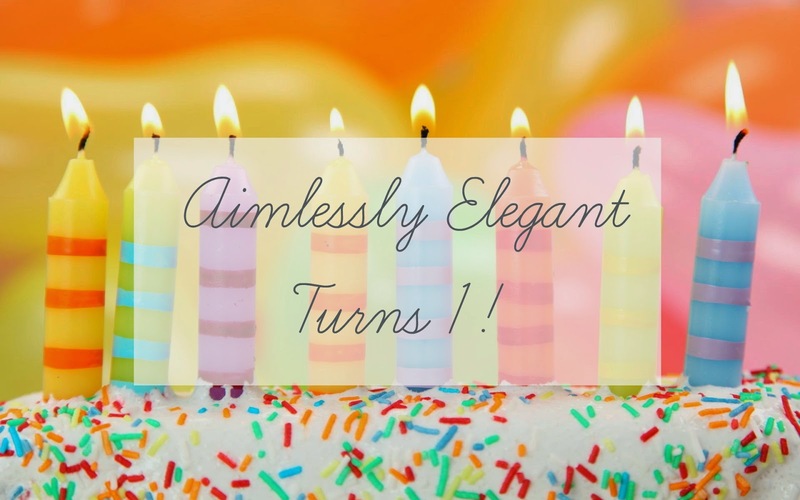 This week Aimlessly Elegant turned 1, and even though I shared that on Tuesday, I feel like it deserves a second shout out, because honestly starting this blog was a long time in the making (I first had the intentions nearly 4 years ago) and I'm proud that I've finally dove in and am still going! What a great thing to have a heated robe! I'm always cold too. I wear a sweater when the AC is on. :) Congratulations on your blog turning 1! happy one year anniversary to your blog! We are huge HIMYM fans! I am just finishing up the entire series for a second time now that the last season is on Netflix. Although it was definitely my least favorite season, the ending was inevitable! Happy weekend!! 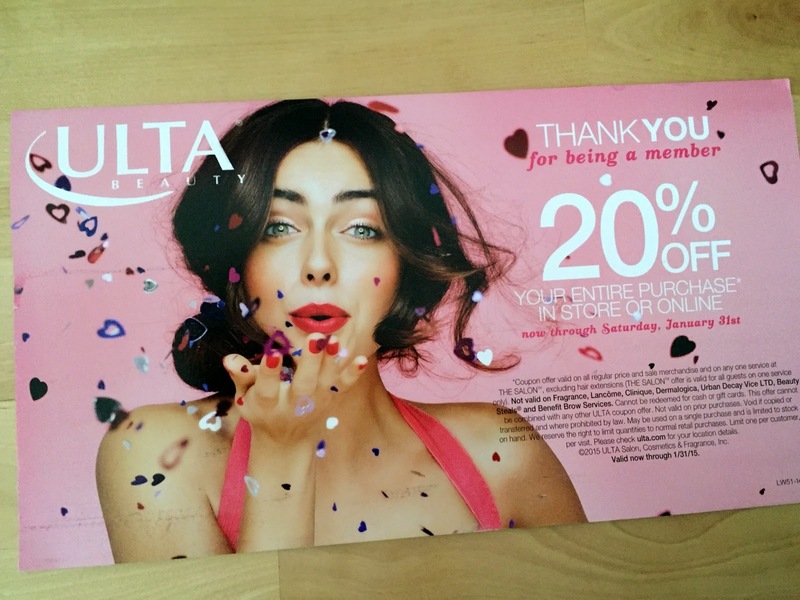 Gotta love the 20% Ulta coupons! What a fabulous discovery about your heater and robe - it's the little things, right?! Congrats on the One Year Anniversary! Such an accomplishment! And high five for staying in your PJs all day! Awesome. I'm envious! (must do that next weekend, Katie!) Thanks for linking up with us again at H54F! See you next week! It's seriously the little things, thanks Emily! Netflix is like a permanent fixture this time of year! Hope you had a great weekend! It's SO the little things, anything that makes this chilly mornings more bearable! Thanks Katie! Must stay in your pj's all day every now and again!